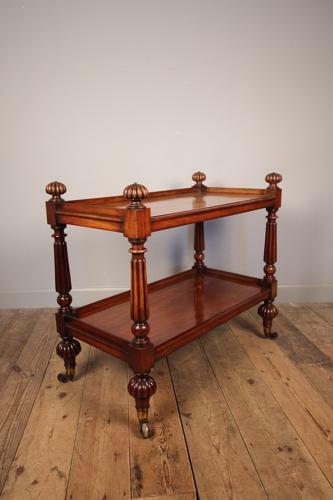 A beautiful George IV Mahogany Buffet of versatile and practical proportions, raised on 4 reeded supports with oversized gadrooned finials and retaining the super quality brass cup castors. Wonderful original finish with good colour and lustre throughout. English, Circa 1825.